Transport Germany to Bulgaria - Bulgaria to Germany. Logistics Services. 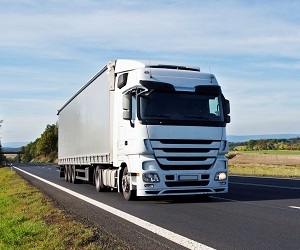 Logistics and transport services from Germany to Bulgaria and from Bulgaria to Germany. OsaCargo can provide highly competitive transport and logistics solutions for international cargo movements all around Europe. Get your free quote for logistics and transport services from OsaCargo. At OsaCargo, we are passionate about contributing to the success of our customers by providing outstanding supply chain services. Day by day, 365 days a year, we aim to be superb supply chain experts, mastering all elements of international logistics solutions and focusing on our work excellence. Get in touch with our logistics manager, and find out what we can do for you. All our managers speak fluent English. International transport services between Bulgaria and Germany. No matter where you need your goods to be delivered, OsaCargo can take care of it. We are covering this route 4 times a week, so we are more than flexible for your cargo to be picked up and delivered on time to your desired address. Reliable transport from Germany to Bulgaria that arrives always on time. We deliver all types of shipments – small packages and personal belongings, larger items and packages, pallets and part loads, full truck loads and oversized loads. The distance between Bulgaria and Germany is only 1964 km – we can cover all this distance in just 28h. Just get in touch with us and see it for yourself. Transport and logistics company – OsaCargo – Probably the best transport company. 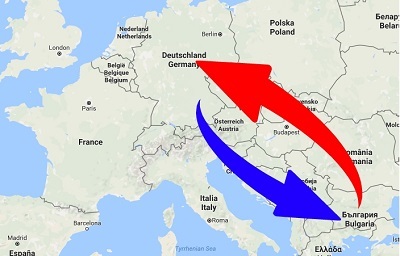 Transport from Germany to Bulgaria and from Bulgaria to Germany. If you were looking for a professional road transport and logistics company, then look no further. OsaCargo has a huge logistics network covering entire Europe. No matter from where to where you need to your goods to be delivered - OsaCargo got your back. Contact us and become our client.